It seems that worthwhile American rock bands have a habit of exploding out the gates with powerhouse records, gaining appropriate appraisal but perhaps not enough actual instant sales, members going off and participating in other outfits, only to then reunite years later to revel in their delayed fandom by recording new material. At the Drive-In did it, American Football are kind of doing it, and now Desaparecidos have definitely done it. 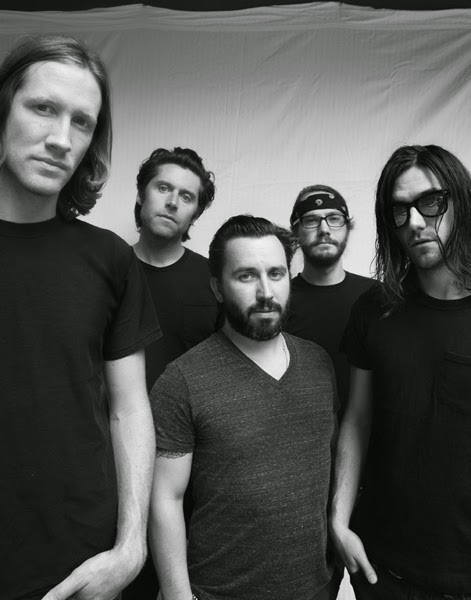 The aptly named Desaparecidos (Spanish for ‘disappeared ones’) are releasing their first album since 2002, and City on the Hill preserves the punk-rock spirit of the early noughties everyone loved about them. The music video strictly pokes fun at the state of US news media during the ‘80s, but my judicious British eyes clocked the inclusion of footage from BBC News at Six circa early 1990: a careless oversight, no doubt.